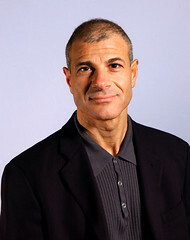 Dr. Omar Ghattas is the John A. and Katherine G. Jackson Chair in Computational Geosciences, Professor of Geological Sciences and Mechanical Engineering, and Director of the Center for Computational Geosciences in the Institute for Computational Engineering and Sciences (ICES) at The University of Texas at Austin. He is also a member of the faculty in the Computational Science, Engineering, and Mathematics (CSEM) interdisciplinary Ph.D program in ICES, serves as Director of the KAUST-UT Austin Academic Excellence Alliance, and holds courtesy appointments in Computer Science, Biomedical Engineering, the Institute for Geophysics, and the Texas Advanced Computing Center. Prior to coming to UT Austin in 2005, he was a professor at Carnegie Mellon University for 16 years. He earned BS, MS, and Ph.D degrees from Duke University in 1984, 1986, and 1988. Ghattas has general research interests in simulation and modeling of complex geophysical, mechanical, and biological systems on supercomputers, with specific interest in inverse problems and associated uncertainty quantification for large-scale systems. His center's current research is aimed at large-scale forward and inverse modeling of whole-earth, plate-boundary-resolving mantle convection; global seismic wave propagation; dynamics of polar ice sheets and their land, atmosphere, and ocean interactions; and subsurface flows, as well as the underlying computational, mathematical, and statistical techniques for making tractable the solution and uncertainty quantification of such complex forward and inverse problems on parallel supercomputers. Ghattas received the 1998 Allen Newell Medal for Research Excellence, the 2004/2005 CMU College of Engineering Outstanding Research Prize, the SC2002 Best Technical Paper Award, the 2003 IEEE/ACM Gordon Bell Prize for Special Accomplishment in Supercomputing, the SC2006 HPC Analytics Challenge Award, and the 2008 TeraGrid Capability Computing Challenge award, and was a finalist for the 2008, 2010, and 2012 Bell Prizes. He has served on the editorial boards or as associate editor of 13 journals, has been co-organizer of 12 conferences and workshops and served on the scientific or program committees of 43 others, has delivered invited keynote or plenary lectures at 27 international conferences, and has been a member or chair of 22 national or international professional or governmental committees. He is a SIAM Fellow.